I designed this executive desk as the centerpiece of my client's office in his new home. 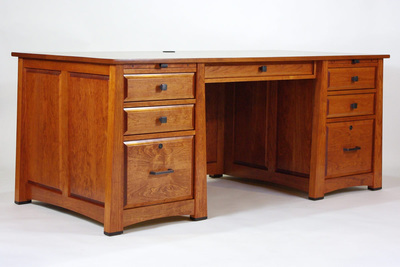 The desk is built in solid black cherry with raised panels and inlaid ebony accents. 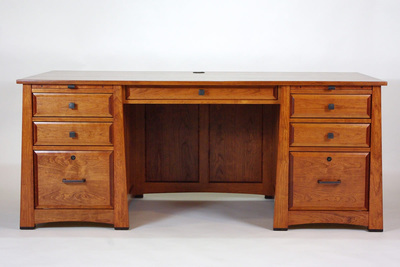 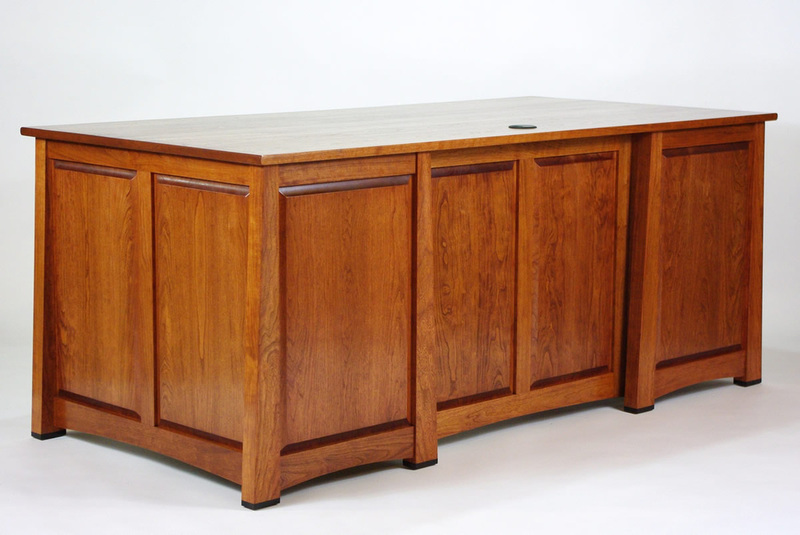 It features two locking file drawers, four storage drawers, a keyboard pullout drawer with flip down front and two solid cherry pull out writing surfaces. The drawers are built using dovetail joinery out of solid poplar. 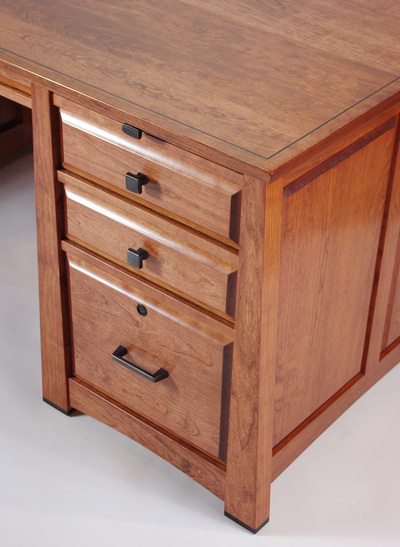 The file drawers are mounted on heavy duty ball bearing file drawer slides and the storage drawers ride on hidden under mount ball bearing drawer slides with a nice soft-close feature.